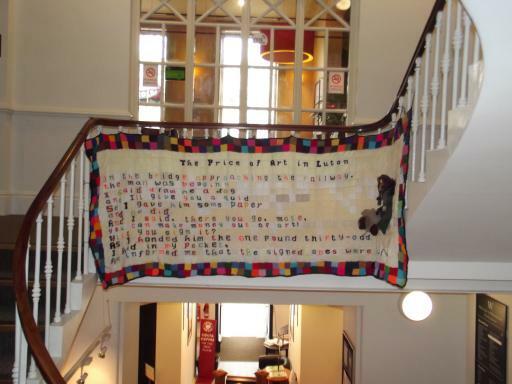 This wonderful knitted poem was on display at the Cheltenham Poetry Festival – it is hung in the stair well of the Waterstones in town. It was knitted by the local knitting groups as part of an initiative set up by Centre Arts. The poem is Jonh Hegley’s The Price of Art in Luton from his collection Dog. 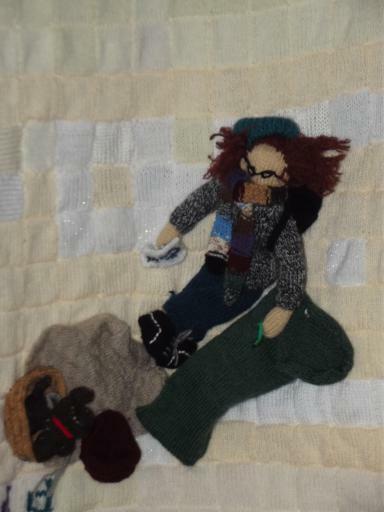 There is also a knitted homeless guy and his dog sitting on the blanket who are full of character.